Pinal County residents have been paying an extra half-cent retail sales tax since April to fund future transportation projects. Wednesday, a Maricopa County Superior Court Tax Court judge said that violates state law. That puts the breaks on plans to widen State Route 347, at least for the moment. Now the battle may be fought inside the Arizona Court of Appeals. 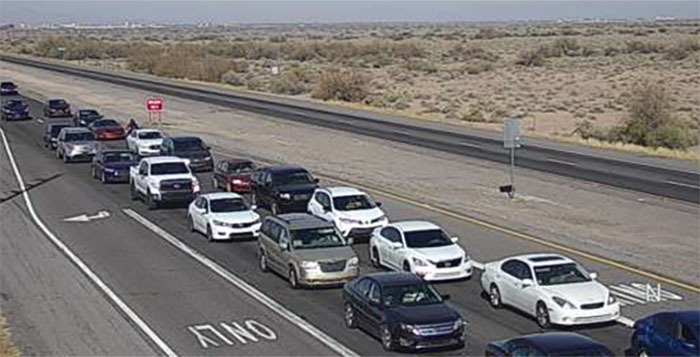 Voters narrowly approved Prop 417 in November, the funding mechanism of the Pinal County Regional Transportation Authority’s Prop 416 that would provide a 20-year plan to create and improve roads. 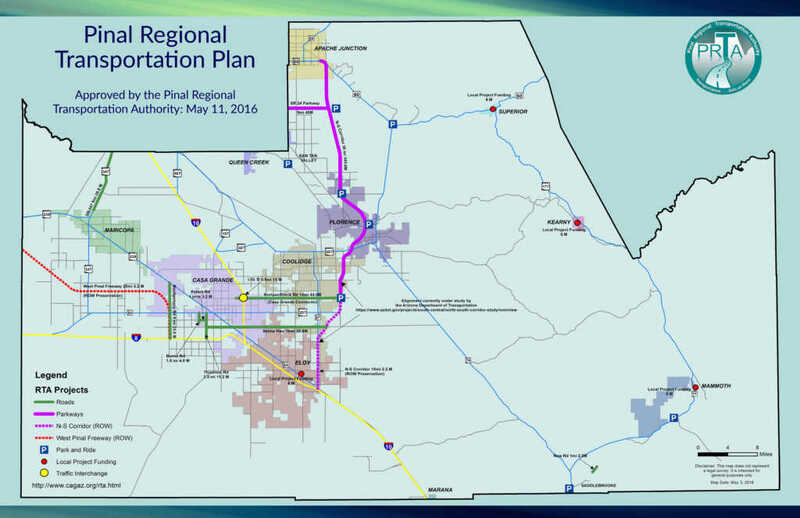 That plan seeks to add lanes to SR 347. Phoenix-based conservative thinktank The Goldwater Institute filed suit in December, challenging the tax’s legality in the case Harold Vangilder, et al. v. Arizona Department of Revenue, et al. Goldwater later motioned the court to delay the collection of the tax. Judge Christopher Whitten denied the request in March and the tax was implemented April 1. Those funds are held in escrow until the conclusion of the case. Aug. 2, Whitten ruled the county-wide tax did not coincide with statute as it too narrowly targets a tax on retail and not on all sales tax categories, according to court documents. The Goldwater Institute applauded Whitten’s most recent decision in a press release published to its website the day of the ruling. The Institute claimed the monies collected since April will have to be refunded by the county. A statement on the Pinal RTA website challenged the judge’s ruling and argued voters knew in November the tax applies to all classifications and not just retail sales. Whitten said the wording of Prop 417 was “insufficient” to establish that. Pinal RTA indicated the war over the funding may not be over. “…We disagree with Judge Whitten’s ruling and will consult with outside counsel regarding an appeal to the State Court of Appeals,” according to the Pinal RTA statement. Requests for comments from Pinal RTA General Manager Andy Smith, Pinal County spokesman Joe Pyritz, Pinal RTA Citizens Advisory Committee Member Tena Dugan, and Mayor Christian Price, who is a Pinal RTA Board Member, were not immediately returned. This story has been updated to include remarks from Anthony Smith.